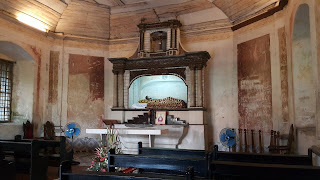 The place was built in 1845 alongside with the San Bartolome church. 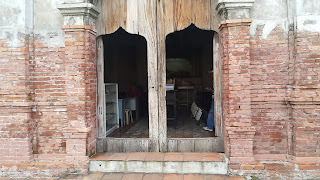 This is also the place where revolutionaries of Laguna in 1896 secretly gathers to conduct meetings. 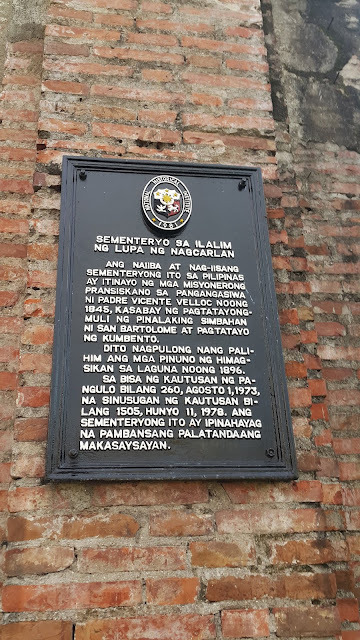 As well, the place has been declared as one of the important historical markers in the Philippine history. The design is almost the same as Paco Park but a little smaller. 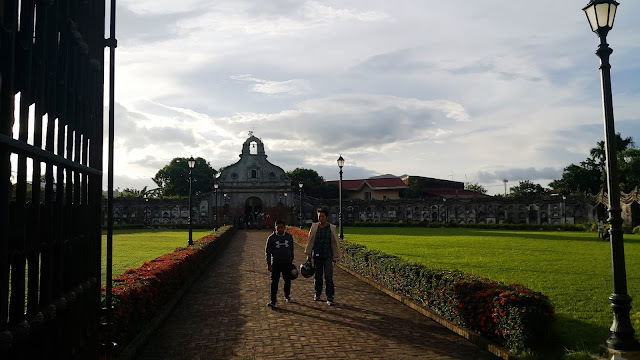 Aside from that, they have a small enclosed chapel made of bricks and a door that looks about a hundred years old already. It's cute because they have a huge door and a smaller version too. 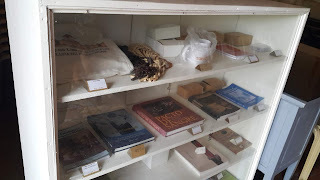 Inside is a small chapel with some book displays about the history of this underground cemetery and a few religious memorabilia from 1800-1900s. 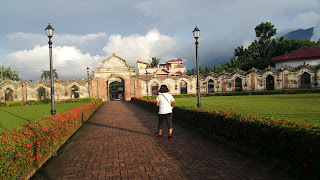 The walls have been well preserved and even the ambiance of the place is super nostalgic. 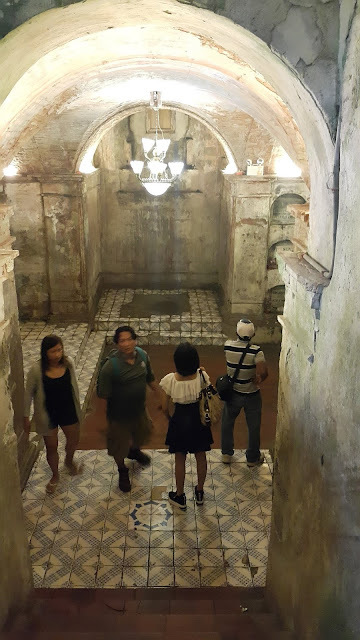 Upon going down at the underground cemetery, there's a sign that you should not take photos so I decided to take only until the stairs area. 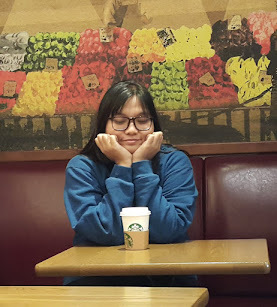 This is also were I felt something weird because I had headache when I went down. The underground part is just small, maybe about the size of 3 regular rooms -- just perfect for secret meetings. 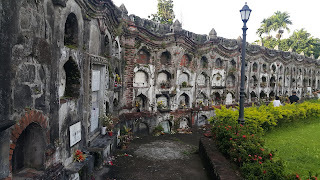 If you are passing by Nagcarlan, don't forget to visit this underground cemetery. 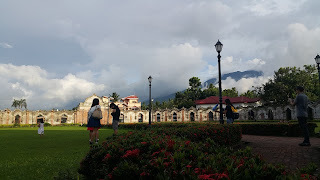 The park is well preserved and it has an overlooking view of Mt. Banahaw.